Thank you for visiting our new Internet site. We are a no nonsense company that is interested in getting down to business and getting the job done as efficiently as possible. We actively promote and emphasize the importance of providing excellent guest service. We are team builders and work on building lasting partnerships with our clients and have continued to do so for over 35 years. You can stay in touch with our company and our offers through this website. A new content management system will enable us to always keep you up to date. Our motto has always been, "CUSTOMERS COME FIRST", a belief instilled in every member of our team. That credo is the same today as when our business first began in 1982. Barrios Distributing will always strive to provide you the very best. 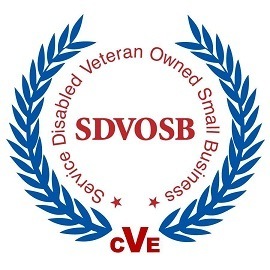 With our status as a Service Disabled Veteran Owned Small Business we are always interested in opportunities to obtain contracts through Federal contracting and subcontracting. Adaptive to our community needs, Barrios Distributing carries a full line of food and beverage items. We provide large (truckload) quantities of major food products meeting the needs of our wholesalers and larger business trade partners. If you are not familiar with our company and this is your first contact with us, we would be pleased to hear from you. Please let us know what your needs and questions are, we will be more than happy to help.